Max Reinhardt is joined by film director and writer Peter Strickland, who introduces his own special Late Junction mixtape. Plus music from Ditte Elly, Betty Davis and Bob Dylan. 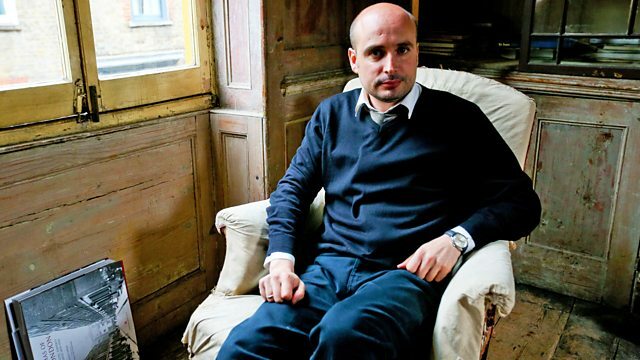 Max Reinhardt hosts the show and film director and screenwriter Peter Strickland unveils his Late Junction mixtape. Strickland is the director of the award-winning horror movie Berberian Sound Studio (2012) and the critically acclaimed drama The Duke of Burgundy (2014). His work has seen him collaborate with musical luminaries such as Bjork, Broadcast and Cat's Eyes. Plus, featured artists tonight include Ditte Elly, Betty Davis, and Bob Dylan, the new Nobel Prize winner for Literature. 3 Hats, 1 Cap and 2 Shoes That Were Not Fellows. Light In The Attic US. Choir: Winchester College Quiristers. Conductor: Malcolm Archer. Three Wings 1 - EP. Soundtrack to ‘Bells of Atlantis’ by Ian Hugo. Cosi' Come Sei (Colonna Sonora Originale). Soundtrack to ‘A Virgin Among the Living Dead’ by Jess Franco. Soundtrack to ‘The Spirit of the Beehive’ by Victor Erice. Soundtrack to ‘Laterna, ftoxia kai filotimo' by Alekos Sakellarios. Soundtrack to ‘The Devil is a Woman’ by Damiano Damiani. Cold Waves Of Color Volume 3. Soundtrack to ‘Fantastic Planet’ by René Laloux and Roland Topor. Soundtrack to ’Girls in the Sun’ by Vasilis Georgiadis. New York In The 1960s. Soundtrack to ’La Marge’ by Walerian Borowczyk. Get My Name Right Or Get Out!